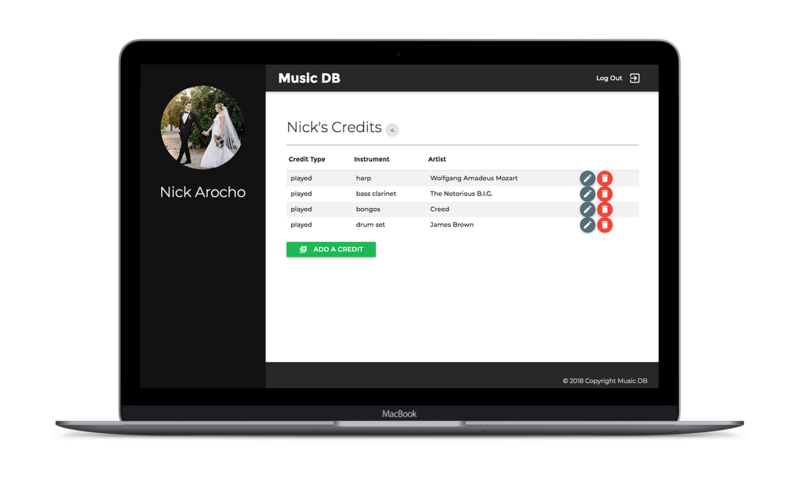 Our goal in creating Music DB was to build a platform where every single musician involved in creating a track and album can receive acknowledgements for the work they've done. There is so much that goes behind the scenes in creating a song and album but yet many musicians don't receive the credit they deserve - and that's what we want to change. Working closely together we built an app where a musican can create a profile, showcasing what projects they have worked on for the world to see. And this is just the beginning phase of what we hope Music DB will come to be. Prior to pitching Music DB to our tech advisors we first began brainstorming ideas on our Trello board. Once we knew what direction we wanted to go we created a pitch deck . Now that Music DB is a real life app rather than just an idea, we deployed our app on Heroku for you to try out. MusicDB →! To gain access to Music DB a user has to login to our app through Facebook. Once a user is logged in they are directed to their profile page where they can begin adding credits. 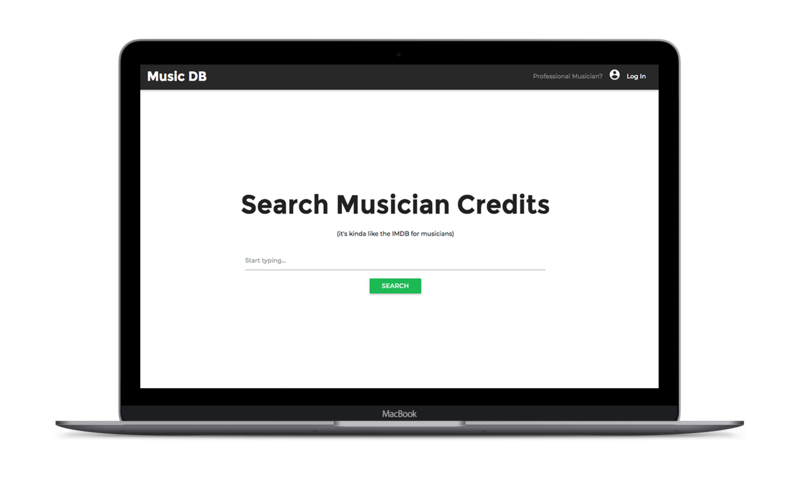 To add a credit a user can specify whether they played,wrote, or produced alongside a particular artist. A user can also edit and update a credit if their role has changed. We want to implement a feature where upon visiting Music DB you can search which musicians played on what track or album whether you are logged in or not. We want a musician to be able to sepcify what song and/or album they worked on and have that information be displayed on their profile. We want to expand the list of roles and instruments used on a track/album.